In the days before the advent of Islam, Arabia had become a corrupt environment, steeped in idolatry and injustice. There were still a few solitary individuals who adhered to the true faith established centuries ago in Arabia by Abraham and Ismail AS. These people eschewed worshiping idols and all that idolatry involved. For me to worship in my many woes? I am one who’s patient and endures. From ancient times, until but recently. So He, Forgiving Lord, might waive my sins. Whatever must befall me I’ll endure? These verses paint the picture of a Muslim who presses his will to the service of Allah SWT, who is pleased with Allah’s decree, hoping for good from his Lord and turning to Him in refuge from what he fears. People like Zaid bin Amr bin Nufail were strangers among their people. They faced the severest form of estrangement in that time of ignorance, when believers in the truth were few. Rasulullah SAW had met Zaid bin Amr bin Nufail. This was well before Rasulullah SAW had started to receive revelation. Zaid bin Amr bin Nufail used to reprove Quraish for their animal sacrifices, saying: “The sheep was created by Allah. Allah sent down the rains for it. He brought forth for it the vegetation from the Earth. Then you go ahead and sacrifice it invoking other than Allah’s name.” These words of his both rebuke their actions and glorify Allah at the same time. Zaid bin Amr bin Nufail was not alone among the Arabs. There were a few others like him who worshipped Allah alone, followed the way of the Messengers, and eschewed the ways of polytheism. Likewise, there were still some Jews and Christians who remained steadfast on their religion. All of those people were strangers in their times, living in a world of confusion, contradiction, and division. Indeed, Zaid bin Amr bin Nufail own uncle, Khattab ibn Nufail, was one of his main tormentors, despising him for not worshipping his tribes’ idols or eating the meat that they slaughtered. When Allah sent Rasulullah SAW as a Messenger to the world, Rasulullah SAW message came to aid the truth that those people adhered to, just as it came to the aid of the persecuted believers – those who followed the previous scriptures as well as others. It also came in support of all the previous Messengers of Allah (peace be upon them). Zaid bin Amr bin Nufail lived during the time before Islam, so he is not numbered in the history books among Rasulullah SAW Companions. However, his son, Sa’îd b. Zaid, would become one of the most illustrious of Rasulullah SAW Companions. He was one of the ten Companions who were given the glad tidings of Paradise while they were still alive. Zaid’s uncle al-Khattab, the father of Umar ibn al-Khattab, seethed with anger. He strode up to Zaid bin Amr bin Nufail, slapped him on the face and shouted: “Damn you! We still hear from you such stupidity. We have borne it until our patience is exhausted.” Al-Khattab then incited a number of violent people to harass and persecute Zaid bin Amr bin Nufail and make life extremely uncomfortable for him. These incidents which took place before Muhammad’s call to Prophethood gave a foretaste of the bitter conflict that was to take place between the upholders of truth and the stubborn adherents of idolatrous practices. Zaid bin Amr bin Nufail was one of the few men, known as hanifs, who saw these idolatrous practices for what they were. Not only did he refuse to take part in them himself, but he refuses d to eat anything that was sacrificed to idols. Zaid bin Amr bin Nufail proclaimed that he worshipped Allah of Ibrahim and, as the above incident showed, was not afraid to challenge his people in public. On the other hand, his uncle Al-Khattab was a staunch follower of the old pagan ways of the Quraish and he was shocked by Zaid bin Amr bin Nufail public disregard for the gods and goddesses they worshipped. So he had him hounded and persecuted to the point where he was forced to leave the valley of Makkah and seek refuge in the surrounding mountains. He even appointed a band of young men whom he instructed not to allow Zaid bin Amr bin Nufail to approach Makkah and enter the Sanctuary. Zaid bin Amr bin Nufail and his companions then went to Jewish rabbis and Christian scholars and people of other communities in an attempt to learn more and go back to the pure religion of Ibrahim. Of the four persons mentioned, Waraqah ibn Nawfal became a Christian. Abdullah ibn Jahsh and Uthman ibn al-Harith did not arrive at any definite conclusion. Zaid bin Amr bin Nufail however had quite a different story. Finding it impossible to stay in Makkah, he left the Hijaz and went as far as Mosul in the north of Iraq and from there southwest into Syria. 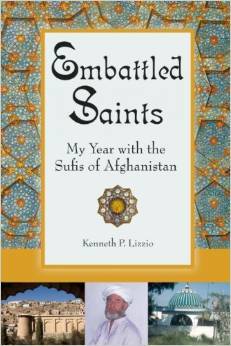 Throughout his journeys, he always questioned monks and rabbis about the religion of Ibrahim. He found no satisfaction until he came upon a monk in Syria who told him that the religion he was seeking did not exist any longer but the time was now near when Allah would send forth, from his own people whom he had left, a Rasul who would revive the religion of Ibrahim. The monk advised him that should he see this Prophet he should have no hesitation in recognizing and following him. Zaid bin Amr bin Nufail retraced his steps and headed for Makkah intending to meet the expected Prophet. As he was passing through the territory of Lakhm on the southern border of Syria he was attacked by a group of nomad Arabs and killed before he could set eyes on the Messenger of God, may God bless him and grant him peace. However, before he breathed his last, he raised his eyes to the heavens and said: “O Lord, if You have prevented me from attaining this good, do not prevent my son from doing so.” When Waraqah heard of Zaid’s death, he is said to have written an elegy in praise of him. Rasulullah SAW also commended him and said that on the day of Resurrection “he will be raised as having, in himself alone, the worth of a whole people”. Allah, may He be glorified, heard the prayer of Zaid bin Amr bin Nufail. When Rasulullah SAW rose up inviting people to Islam, his son Said was in the forefront of those who believed in the oneness of Allah and who affirmed their faith in the Prophethood of Muhammad. This is not strange for Said grew up in a household which repudiated the idolatrous ways of the Quraish and he was instructed by a father who spent his life searching for Truth and who died in its pursuit. Said was not yet twenty when he embraced Islam. His young and steadfast wife Fatimah, daughter of al-Khattab and sister of Umar, also accepted Islam early. Evidently both Said and Fatimah managed to conceal their acceptance of Islam from the Quraish and especially from Fatimah’s family for some time. She had cause to fear not only her father but her brother Umar Al Khattab who was brought up to venerate the Kabah and to cherish the unity of the Quraish and their religion. Umar was a headstrong young man of great determination. He saw Islam as a threat to the Quraish and became most violent and unrestrained in his attacks on Muslims. He finally decided that the only way to put an end to the trouble was to eliminate the man who was its cause. Goaded on by blind fury he took up his sword and headed for Rasulullah’s house. On his way he came face to face with a secret believer in Rasulullah who seeing Umar’s grim expression asked him where he was going. “I am going to kill Muhammad…” There was no mistaking his bitterness and murderous resolve. The believer sought to dissuade him from his intent but Umar was deaf to any arguments. He then thought of diverting Umar in order to at least warn Rasulullah SAW of his intentions. Umar then made his way to the house of Al-Arqam and declared his acceptance of Islam and Rasulullah and all his companions rejoiced. Said and his wife Fatimah were thus the immediate cause which led to the conversion of the strong and determined Umar and this added substantially to the power and prestige of the emerging faith. Said ibn Zaid RA was totally devoted to Rasulullah SAW and the service of Islam. He witnessed all the major campaigns and encounters in which Rasulullah SAW engaged with the exception of Badr. Before Badr, he and Talhah were sent by the Prophet as scouts to Hawra on the Red Sea coast due west of Madinah to bring him news of a Quraish caravan returning from Syria. When Talhah and Said returned to Madinah Rasulullah SAW had already set out for Badr with the first Muslim army of just over three hundred men. After the passing away of Rasulullah SAW, Said bin Zaid RA continued to play a major role in the Muslim community. He was one of those whom Saidina Abu Bakr Siddiq RA consulted on his succession and his name is often linked with such companions as Uthman, Abu Ubaidah and Saad ibn Abi Waqqas in the campaigns that were waged. He was known for his courage and heroism, a glimpse of which we can get from his account of the Battle of Yarmuk. 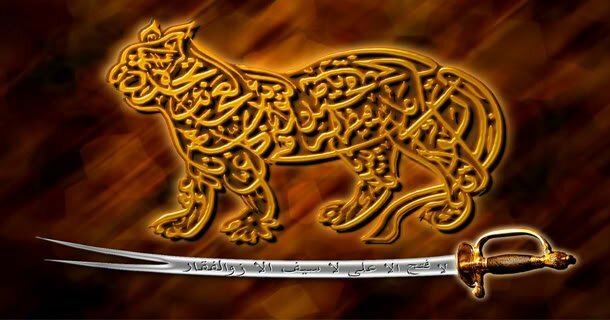 Said bin Zaid RA said: “For the Battle of Yarmuk, we were twenty four thousand or thereabout. Against us, the Byzantines mobilized one hundred and twenty thousand men. They advanced towards us with a heavy and thunderous movement as if mountains were being moved. Bishops and priests strode before them bearing crosses and chanting litanies which were repeated by the soldiers behind them. Said bin Zaid RA was ranked by Rasulullah SAW as one of the outstanding members of his generation. He was among ten of the companions whom Rasulullah SAW visited one day and promised Paradise. These were Abu Bakr, Umar, Uthman, Ali, Abdul Rahman ibn Awf, Abu Ubaidah , Talhah, Az-Zubair, Sad of Zuhrah, and Said the son of Zaid the Hanîf. The books of Rasulullah’s sayings have recorded his great praises of the Promised Ten (Al-‘asharatu-l mubashshirun) and indeed of others whom on other occasions he also gave good tidings of Paradise.